Buffalo Bandits General Manager Steve Dietrich today announced the team has agreed to terms on one-year deals with transition player Mitch Jones and goaltender Kurtis Wagar. The Bandits acquired Jones (6’2”, 205 lbs., 12/12/1991) on Sept. 16, 2013 in a trade with the Washington Stealth. 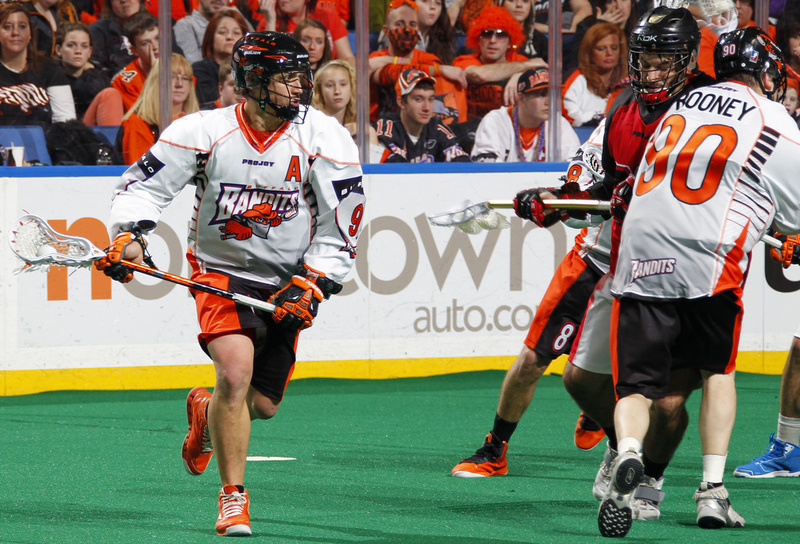 He played four games for the Bandits last season, finishing with five points (2+3) and 22 loose ball recoveries. Wagar (6’0”, 240 lbs., 11/5/1985) spent the last two seasons with the Bandits after joining the team as a free agent prior to the 2013 season. The St. Catharines, Ontario native has a 3-8 record with an 11.80 goals-against average in 79 career NLL games. In corresponding moves, goaltender Davide Diruscio and forward Mark Steenhuis have been placed on first-level injured reserve.